While some consumers are concerned about the possible health implications related to pesticide use and genetically modified organisms, others question the environmental impacts which conventional methods of agricultural production bring and still others believe that choosing organic is simply the healthiest option. Growing consumer interest is centered around the desire for transparency. More consumers are inquiring where their food is coming from and are looking for organic standards they can trust. 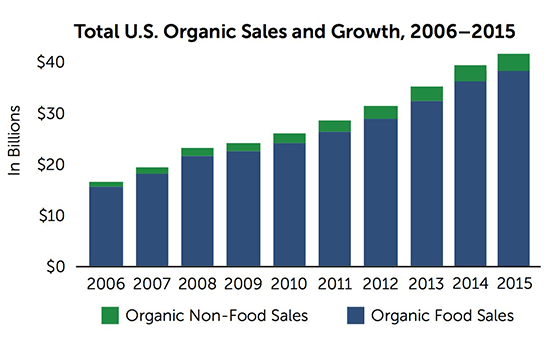 Ongoing research studies on the environmental, health, and economic benefits of organic practices and products are driving this growth and demand. NP Nutra® recognizes our role of environmental stewardship to fulfill our responsibilities to farmers, workers, customers and the planet, supporting and encouraging sustainable practices at all stages of the supply chain. By law all certified organic ingredients are automatically non-GMO. We work closely with our approved manufacturing partners to verify traceability and ensure that sustainable growing and harvesting practices are followed. NP Nutra® strives to make all of our ingredients non-GMO and Kosher certified. At NP Nutra® we offer a selection of certified organic ingredients (Nutra Organics) with 80 unique ingredients and more to be added in the near future. Acai, Acerola, Amla, Cocoa, Guarana, Lucuma, Mangosteen, Noni, Pomegranate, Spirulina, and Yacon are only some of our best-sellers.